I HAVE FOUND MY PERFECT GUY!!!!!!" ♥ Roxy discussing her new love, Phee! Little redhead Roxy, all of nine lbs, makes Phee, at 14 lbs, look like a big guy. They are fosters with SNORT, but so cute together. Both of them have health issues, but still bring joy to all who know them. Meet New foster Star. We realize she doesn’t look quite Boston...maybe there’s some Boston in there...but anyways she’s CUTE! She’s 5 years old roughly. The owner told us she was a Boston mix, but didn't have a computer to send pics. 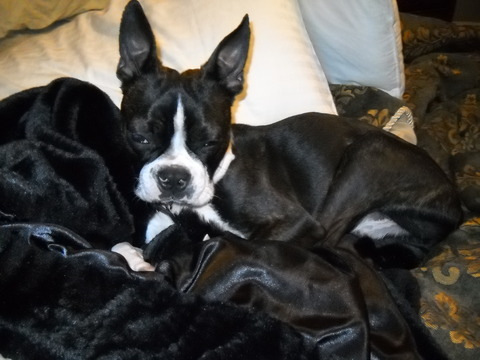 Once we got her we realized there's probably no Boston there, but now that we had her, there is no way we wouldn't give her the same opportunities we give all our rescued dogs. 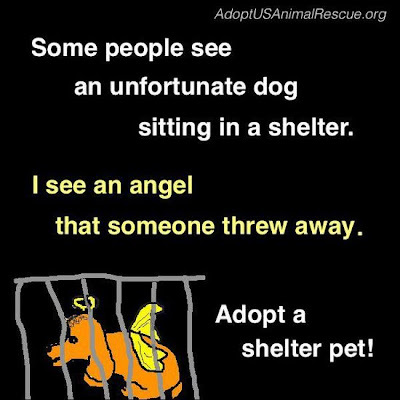 Being as sweet as she is, she will make somebody a wonderful companion. Big thanks to all the people who transported her from Altoona, PA (near P'burg), many who volunteer with other groups; to Cynthia Musselman who fostered her for a week, and then to Pam who was really excited to take Star. Thank you to Jerrilyn who can't sleep until she knows a dog is safe. Working together with sister groups whenever we all need help. 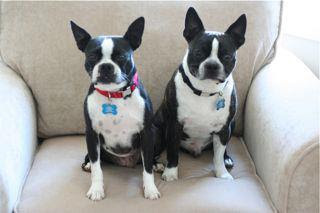 Former foster Clementina ( known before as Betsy on left) is loving life in her furever home with her sibling Curtola! 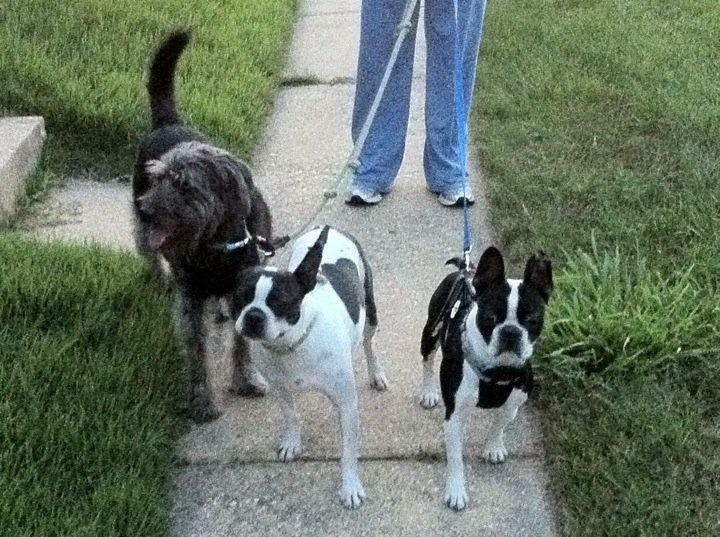 NEBTR former foster Buster is now Gizmo, and living with forever Mom Maria Pastusz. 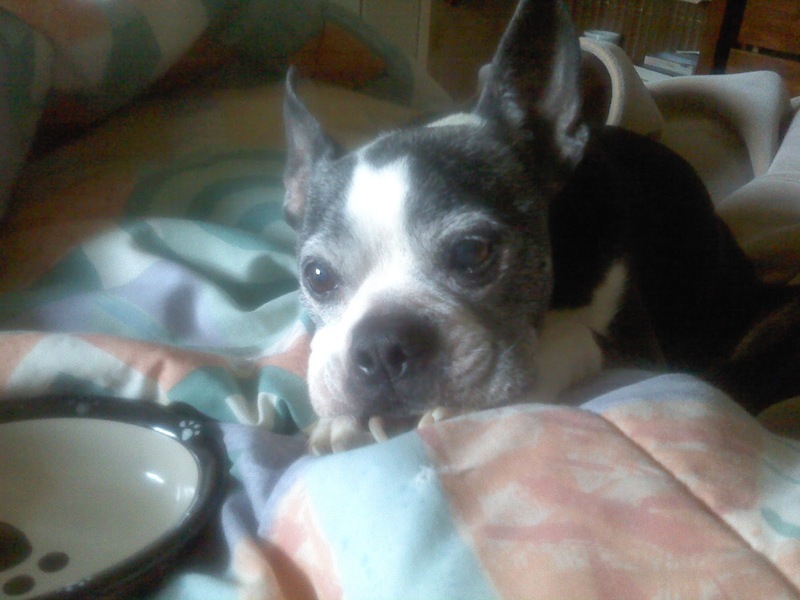 Maria says, "Gizmo is our precious boggle, boston/beagle mix. My 15 year old daughter Renata fell in love with this boy the moment she held him at Jerrilyn's home in NY. He was a goofy looking bag of bones that found his way home! This foster failure has filled our home with so much LOVE! He is such a goofy, gentle love bug!" This is Rocky, he will be joining one of our awesome foster families this wknd. Rocky is 7 and feeling stressed. We are going to change all that . . . He will be assessed and tested with dogs, cats, kids, seniors and then we will know where he can one day spend furever! We love you already! Wish Rocky luck and a smooth transition. Congratulations to Rocky, who has found his furever home with Jim Covais. Special thanks to Deb Dolan for giving him the love he needed when he needed it most. We are so happy for Rocky - he will be very happy there! And his Dad has just joined NEBTR! Foster Bella Boo loves her new blanket from Walter Williams. She will not part with it! 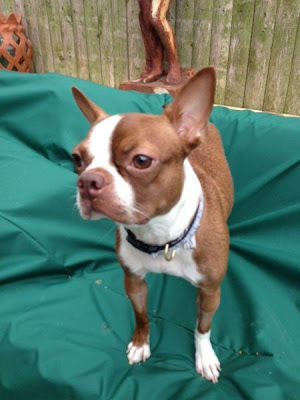 Oliver, formerly Biscuit, is a deaf special needs Boston who was adopted by Erin Hanlon and Katherine O'Brien in 2011. Oliver had been fostered by Beth McFadden and Ja. Kate has taught Oliver sign language and Erin has turned him into an all star soccer player. 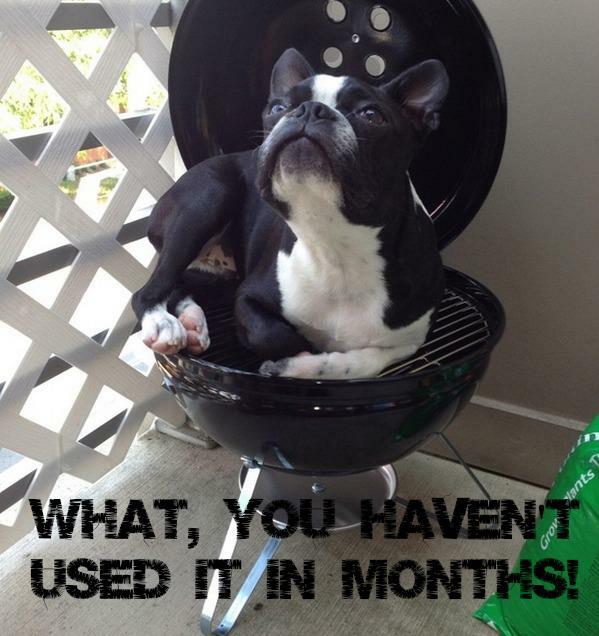 I don't think he knew what a ball was when Janice Boyer and I fostered him. Look how happy he is! 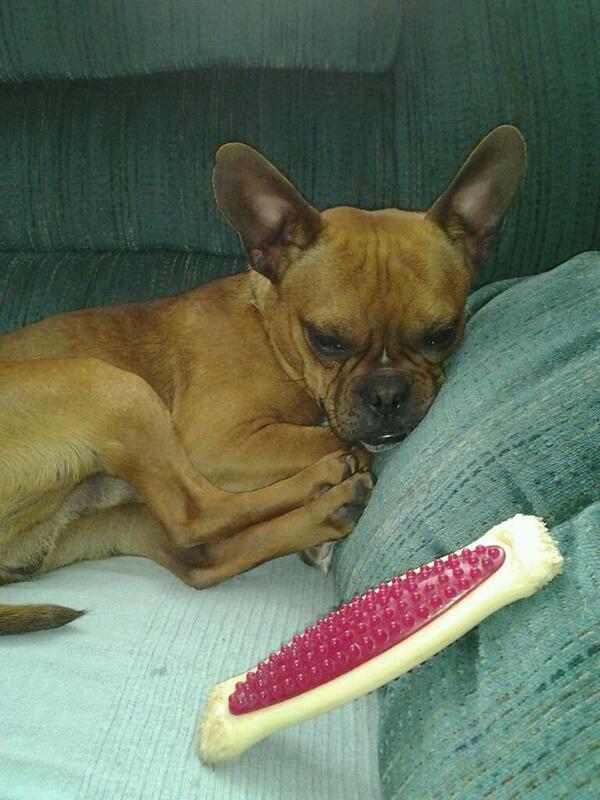 Thank you Kate and Erin for providing a loving forever home for this special boy! I pulled Clark from the Rochester city shelter last October. He was then fostered by John Gilligan and soon after adopted by Cindy Metcalfe. Cindy asked me to share an update with the group. Last month Cindy found a mass on Clark's leg. A few weeks ago it was removed, along with another mass on the same leg. While he was under they also removed a nagging stitch he's had since his neuter back in October, and excised a bad tooth. He's been through a lot the past few weeks but I'm thrilled to report his pathology came back clean. The masts were grade 1 and 2, and will need no further follow up. Cindy will be checking for lumps in the future but he is out of the woods for now. Clark is my "one who got away". If timing was different and I hadn't been so pregnant when he came to us, I don't think I would have been able to give him up. I have a great picture of him sleeping, sprawled across my huge belly, cone of shame and shelter stink and all. He is such a little gentleman and I'm so relieved for him and his awesome new family. Chica (aka Chiquita Banana) was so happy that someone choose her to buy presents for. Don't let her look fool you...this really is her happy face! She looks like a pink princess with her new so slip harness and it didn't take her more than two seconds to break in her new bully stick. She may not be the most popular girl for adopters but she sure felt special that someone picked her this time ;) Thank you!!! 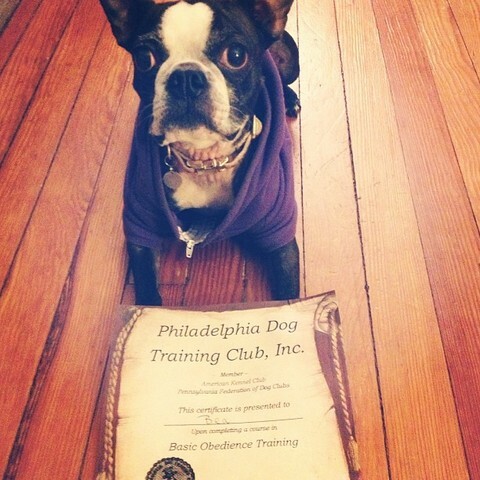 Bea graduated last night from her basic obedience class! The instructor said she is ready to move on to the next course if we wish. I'm going to work with her a bit at home and teach her some new things. So far she knows sit, down, stay (in both sit and down positions), come (although we're still working on it), dance (she goes up on her hind legs and spins in a circle) and paw. I hope to teach her high five, roll over and to walk on her hind legs, amongst other things. She has taken a curiosity to frisbees so now that the weather is finally warming up, I'll see what she can do. She is an incredible girl. Thanks again NEBTR family (and most importantly Robin Leone, her foster mom) for bringing me this great girl! In 2004, Lora Myers adopted Emma from NEBTR. "Emma passed her therapy dog certification test. What a nice little girl she is!! We went to a Greyhound celebration day and the place was packed with the long nosed beasts!! We got out of the truck to a swarm of yelping snarling Greyhounds bent on participation in the Lure Coursing field. Poor Emma was traumatized! Several Greyhound owners commented to me that if I wanted to keep my little dog, I had better keep her in my arms. Of course, I had already figured that one out for myself. Emma failed her down stay 3 times because she was still scared to be away from me with the yowling dogs nearby. I assured the tester that she could indeed do a solid down stay and that I felt the circumstances were a bit unfair to poor Emma. We went down in a fenced field all by ourselves and did 3 perfectly. The instructor came down and told Emma what a good little dog she was. The testing dog for her to be good with was a large Rottweiler (another soul out of place). Emma was thrilled to see a Rottie and was just hoping it was Stefani (our Rottie)...which of course it wasn't...Still, she did a great job and I was very proud of little Emma." 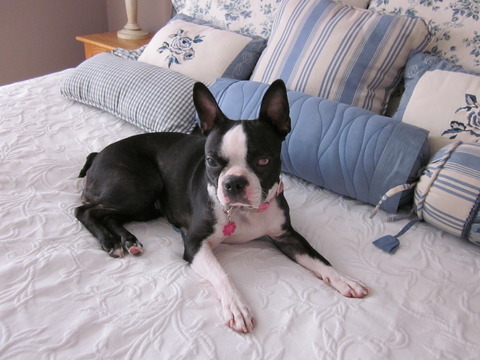 "In 2004 we adopted a 9mo old Boston Terrier named Emma through Northeast Boston Terrier Rescue. I'm writing to let you know we had to put her to sleep last week due to a liver tumor. I wanted to let you know that Emma was such a good little girl. She became a certified Therapy Dog and helped many many children improve their reading skills. Later in life, she served to help my Patients to work through pain during therapy, to improve skills needed to take care of themselves or even modify skills to care for their pets at home. It's been a very difficult few months. We had 4 Bostons. We lost one a couple of years ago and the other 3 over the past 3 months. 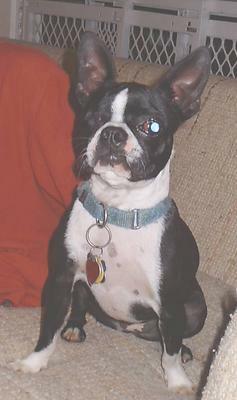 Emma was our last little Boston. I think it was hardest to lose her because she was the only one left. Emma was very much loved." Thank you Lora, for adopting her and for having so much love and pride for her. We offer you and your family our deepest condolences. 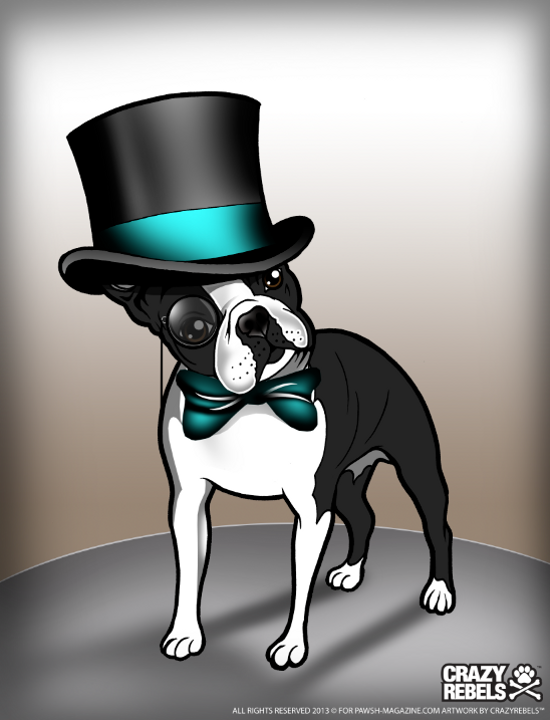 Pawsh magazine is featuring the Boston Terrier in its Pedigree Poems! 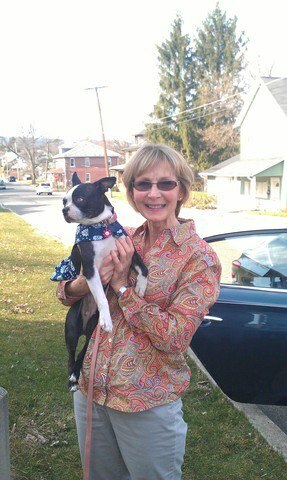 Erica Eschelman and her permanent foster, Roxy, invite BT owners to a monthly meetup in Central PA.
"Hi all. 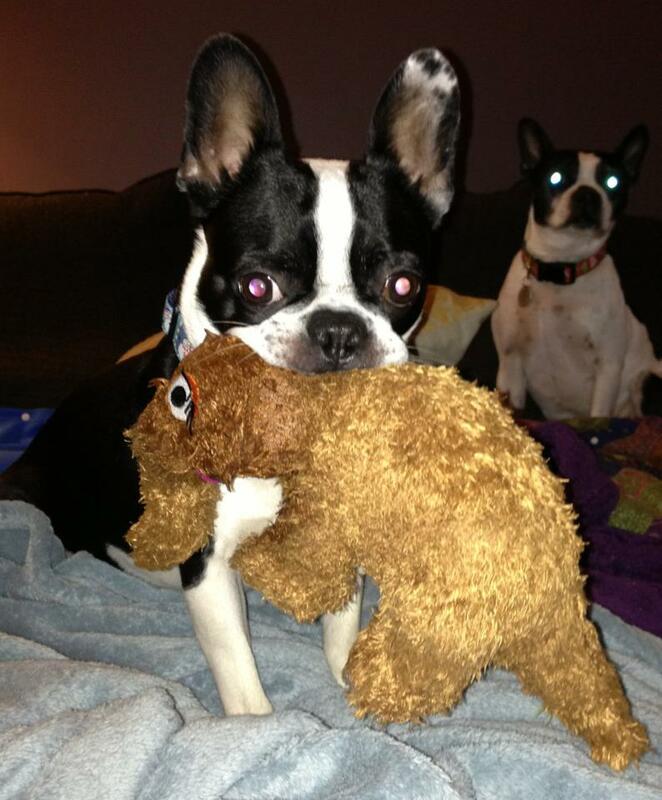 We have a Boston Terrier meet-up group in Central Pa area that is run through a facebook page. We meet one Saturday a month April through October so our non-human children can get together and play. I never know how many will show up. We rotate between parks in the area. I wanted to invite anyone in the area to our first meet-up this Saturday in Lancaster, Pa. at Buchanan Dog park at 10:00 am (usually goes till 12:00). We have people that come as far as from Maryland and we converse through the page all year long. Adopted, breeder, young, old we love them all and have a blast playing and catching up. Our next meet-up will most likely be in York, PA. I don't make it to all the meetings but will be there for at least part of the morning this Saturday. Roxy's desire to play nice will determine how long we get to stay. " 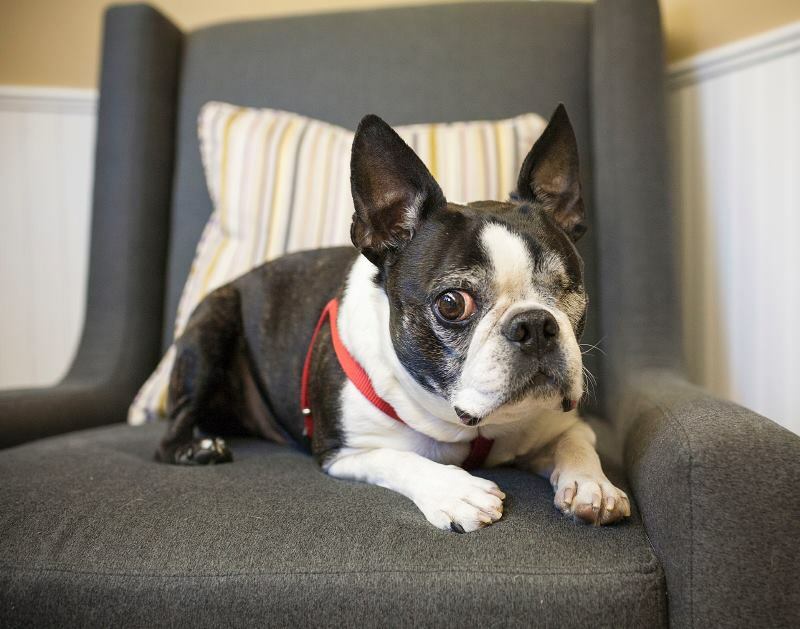 Roxy, pictured below, is a favorite, she's the cutest little Boston (9 lbs of love) who, despite some serious health issues, is always ready to make friends with everyone and graciously accepts the love and adoration of her many supporters and fans. Pssst, my Foster Mom doesn't have a clue that I'm writing this BUT I just want to thank the Angel who thought to pamper me with all these bully sticks. I am so thankful and appreciative. I feel so loved. I came to Narelle fully sighted last September but alas had eye issues. Well I got Glaucoma in both eyes and am totally blind. My foster Mom reminds me everyday how beautiful I am coz i tend to forget hee hee! Long story short...if the wonderful soul who sent these gifts wants shared custody with Narelle I'm game!!! Chica (aka Chiquita banana) was so happy that someone choose her to buy presents for. Don't let her look fool you...this really is her happy face! She looks like a pink princess with her new no slip harness and it didn't take her more than two seconds to break in her new bully stick. She may not be the most popular girl for adopters but she sure felt special that someone picked her this time ;) Thank you!!! Here is Daisy enjoying life in her new home with her wonderful Mama Charlene Lenning! From being a breeding machine living in an outdoor pen to a wonderful new life. Thanks for your support, everyone. We held onto her for 6 months, but I always knew the right person would come for her! 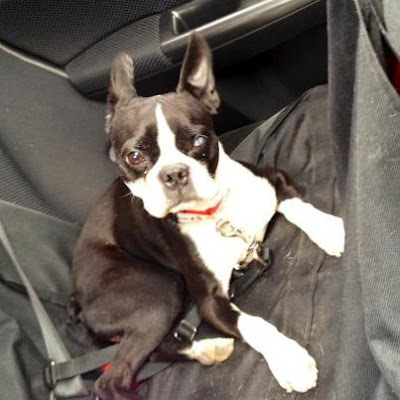 Thank you so much Erin for all that you did for her, and for finding the perfect match for Daisy! It takes a special person to love them and let them go, and it gives us all that spark to keep sharing the love. You have an enormous heart! Our foster boy George finally discovered the dog toy box. He is taking all of them to his crate little by little. He currently has 6 in there. George has been doing this for the last hour. 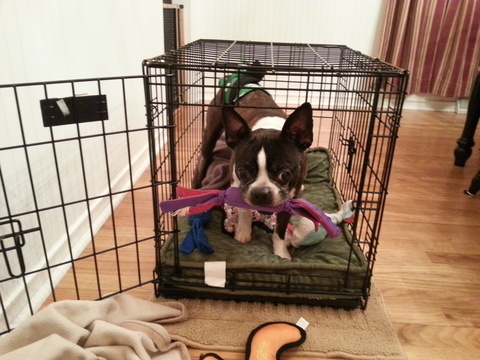 He gets a toy, struts through the entire downstairs with the toy in his mouth and then puts it in his crate. Our 3 dogs are cuddling on the couch, so there's no competition. Great progress for our anxious foster boy. He just passed out asleep in his bed. George had his "own" toys but in our house it's pretty much a free for all. Meet new foster Chloe. Chloe is 5 years old. She was sprung from the shelter this weekend and is loving life in her foster home! She loves cats and dogs and overall will make someone very happy! Just wanted to share a recent picture of Chester! Handsome Jack Flash was found as an unclaimed stray by the Teterboro NJ Animal Shelter. NEBTR volunteer Erin Fay offered to open her heart and home to this boy. Failed foster parents, Liz and Brad, generously offered to drive from Brooklyn just to get Jack and bring him to Erin. Liz and Brad adopted Hank recently, and we thank them for their assistance. They generously gave of their time to do this entire transport and lucky Jack went into his foster home his new foster mom Erin. "Jack Flash is awesome!!! He is so happy! I feel like I could write a book about him already. Whoever adopts him will be so lucky; he will make them very very happy. I just look at him and smile, he is so funny. He had a very long trip yesterday going from Teterboro to Philadelphia through lots of traffic. He was great in the car though. He is just a calm, yet energetic and playful dog. He is really easy on the leash and loves walking around the neighborhood and stopping to look at people passing by. He will make someone SO HAPPY - he is such a great dog!!! He walks around the house exploring and smelling, but I can tell he is not looking to get into trouble, or to chew something, or to get into mischief. He is just curious. He is going potty outside - not inside :) He stands patiently at the door waiting to get the leash on. He looks for a spot to lift his leg when I say "potty" and he knows "sit" - both of which we discovered by accident by just talking to him. He loves his crate and ran right to it when he got here. We have an entire area set up for him and he loves to go there and play or hang out. He is just a really sweet, funny boy. He is the sweetest! He wants to be with you, but isn't needy. He just seems to have the right balance of personality and friendliness! He is just so cute I can't stand it! My husband and I love having him with us. " Thanks so much to Linda Vermeylen for designing these car magnets and for making them available for volunteers to display during transports. What a great idea!